Karaite ḥakam of Halicz, Galicia; died in 1700; pupil of R. Nissim. 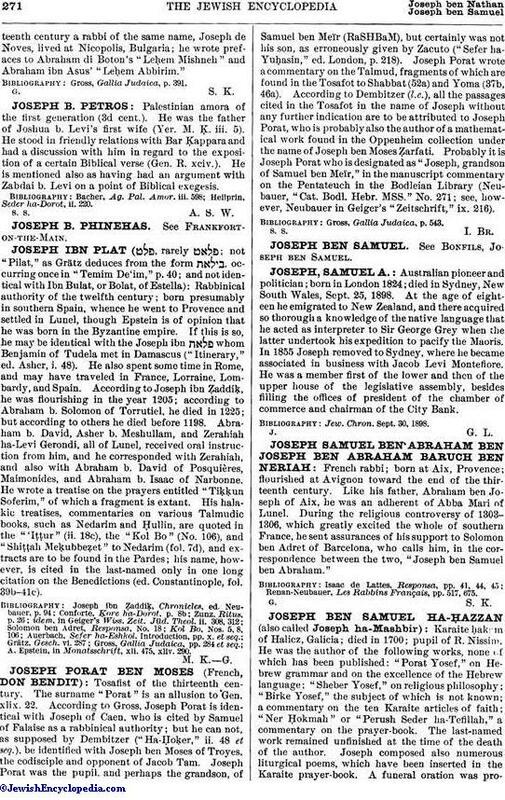 He was the author of the following works, none of which has been published: "Porat Yosef," on Hebrew grammar and on the excellence of the Hebrew language; "Sheber Yosef," on religious philosophy; "Birke Yosef," the subject of which is not known; a commentary on the ten Karaite articles of faith; "Ner Ḥokmah" or "Perush Seder ha-Tefillah," a commentary on the prayer-book. The last-named work remained unfinished at the time of the death of the author. 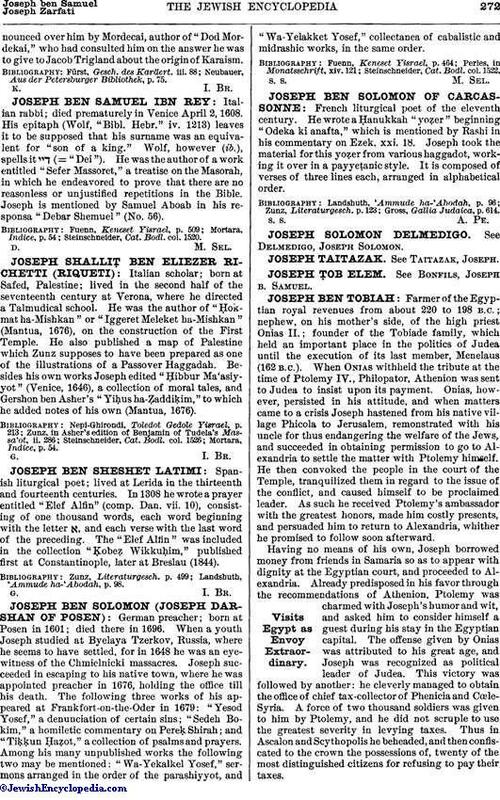 Joseph composed also numerous liturgical poems, which have been inserted in the Karaite prayer-book. A funeral oration was pronouncedover him by Mordecai, author of "Dod Mordekai," who had consulted him on the answer he was to give to Jacob Trigland about the origin of Karaism. Neubauer, Aus der Petersburger Bibliothek, p. 75.